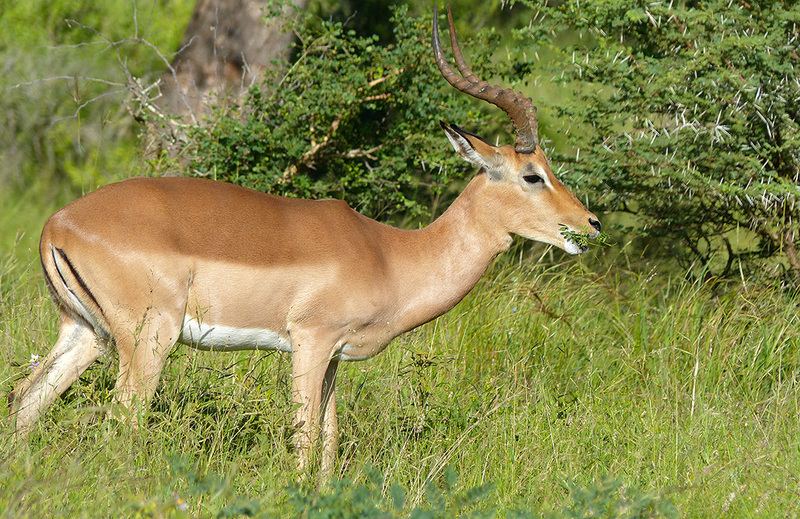 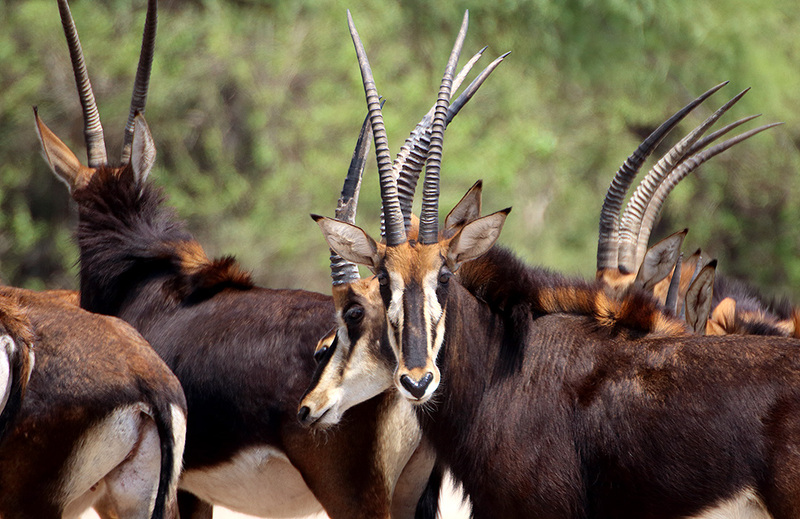 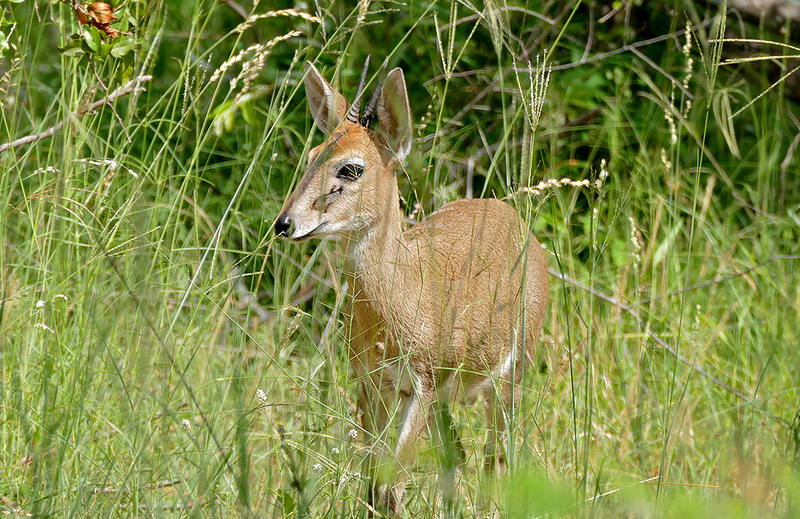 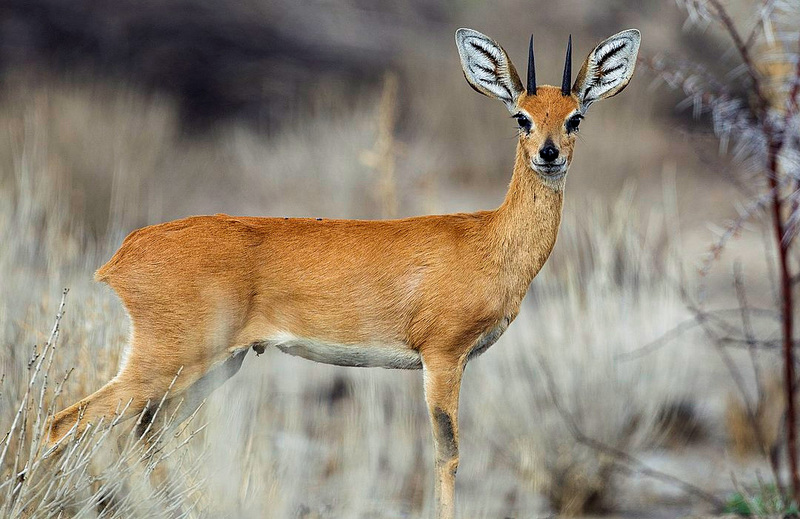 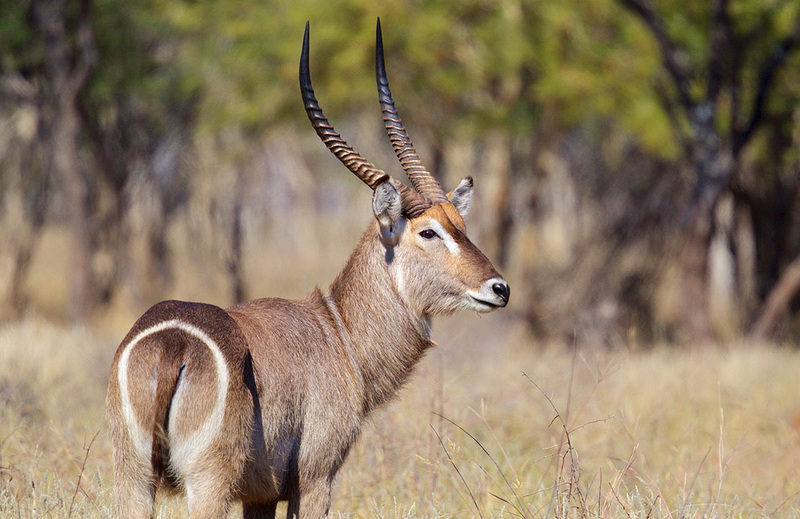 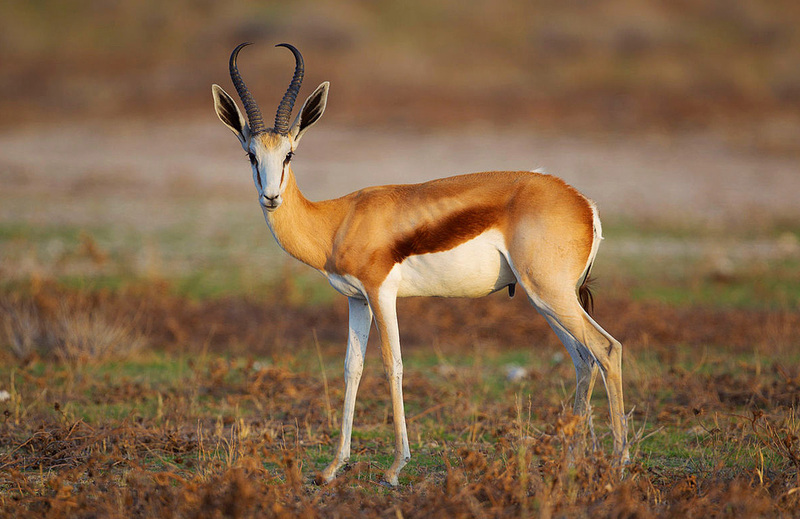 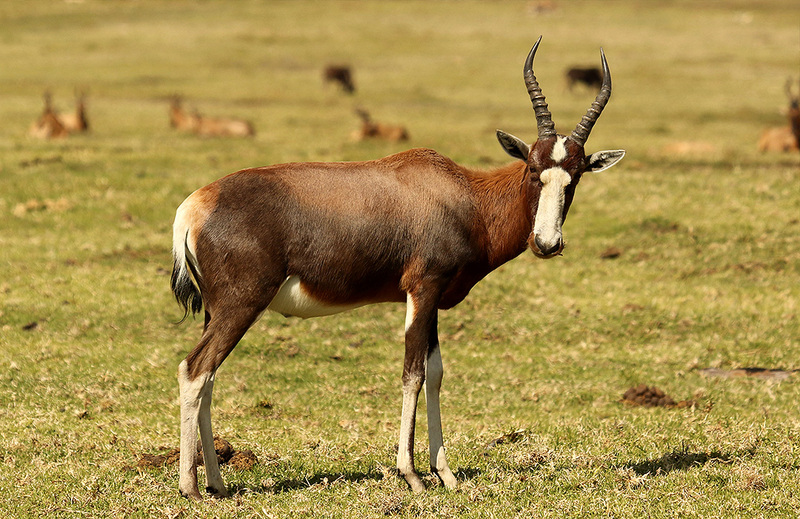 The springbok is a strikingly marked, gazellelike antelope. 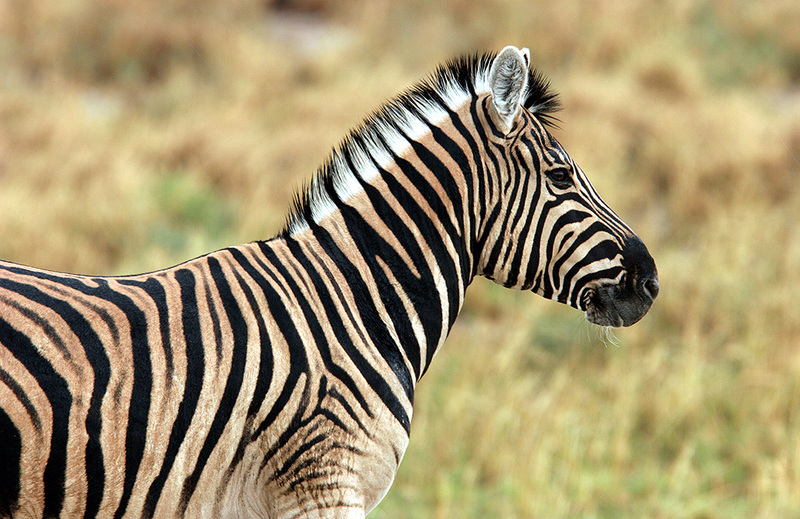 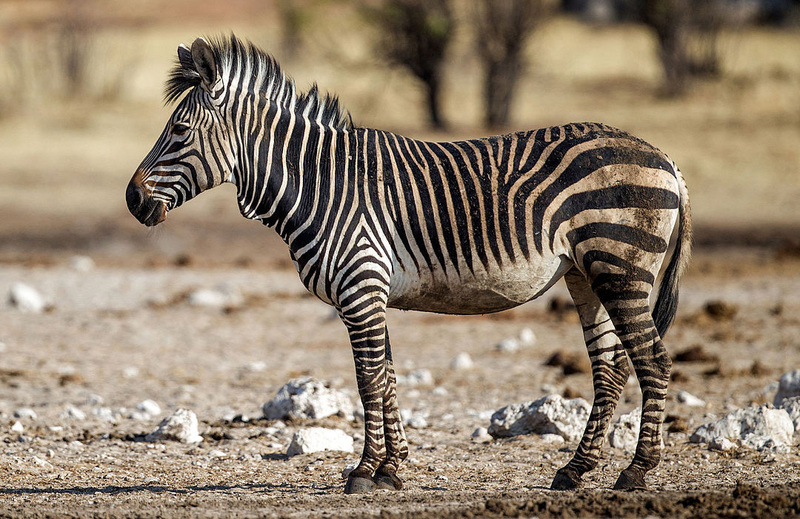 It has a white face with dark stripes from the mouth to the eyes, a reddish-brown coat that turns to a darker shade and then to white on the lower third of its body, and a white backside. 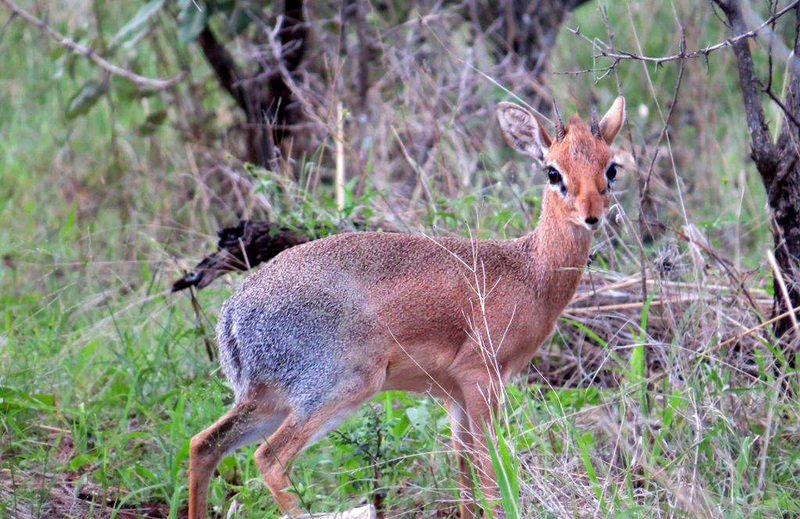 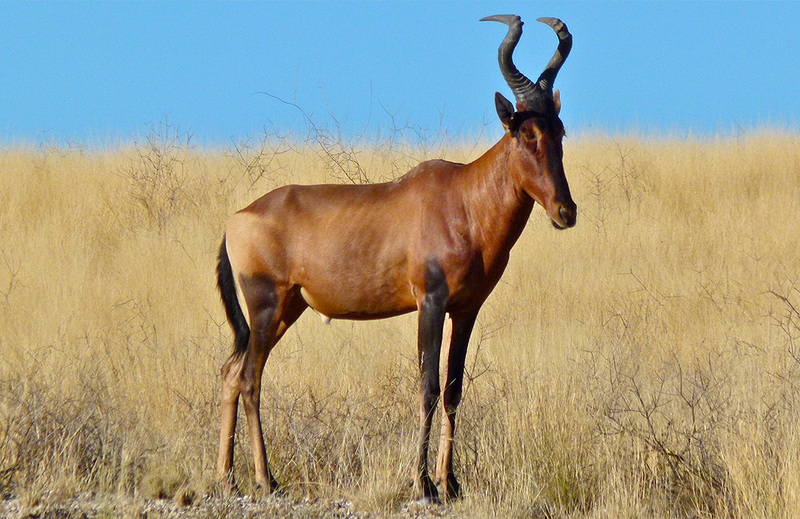 It stands approximately 80cm high at the shoulders and both sexes also have black, curved, lyre-shaped horns. 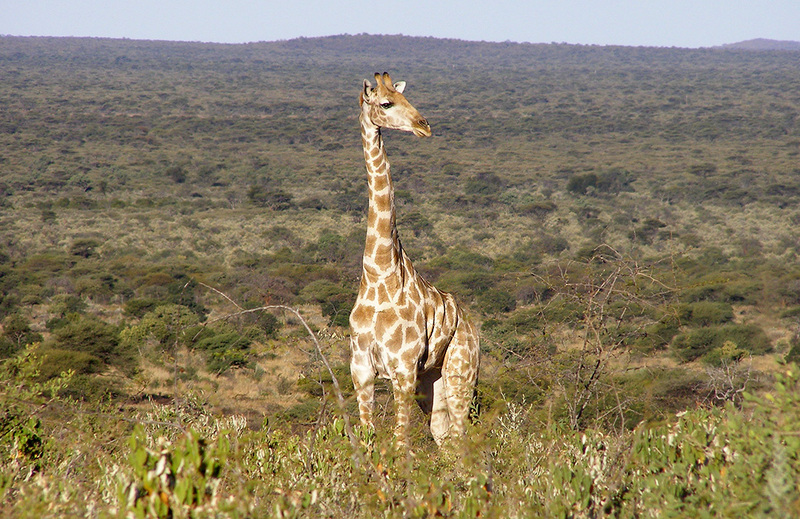 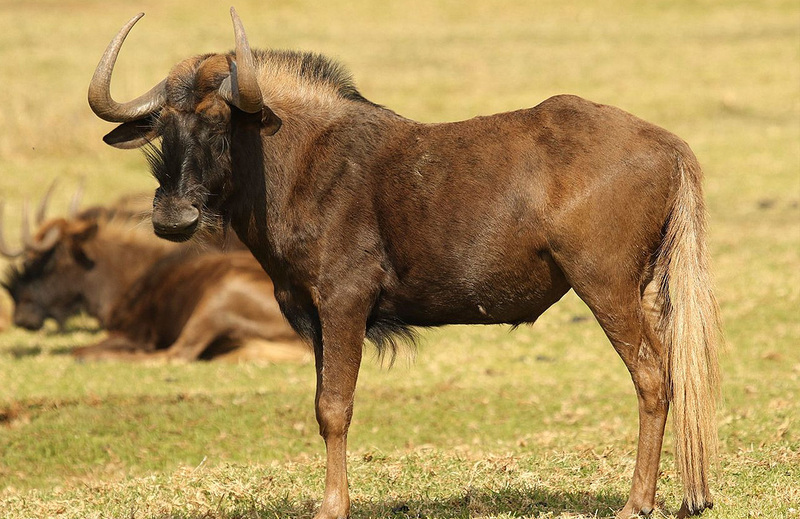 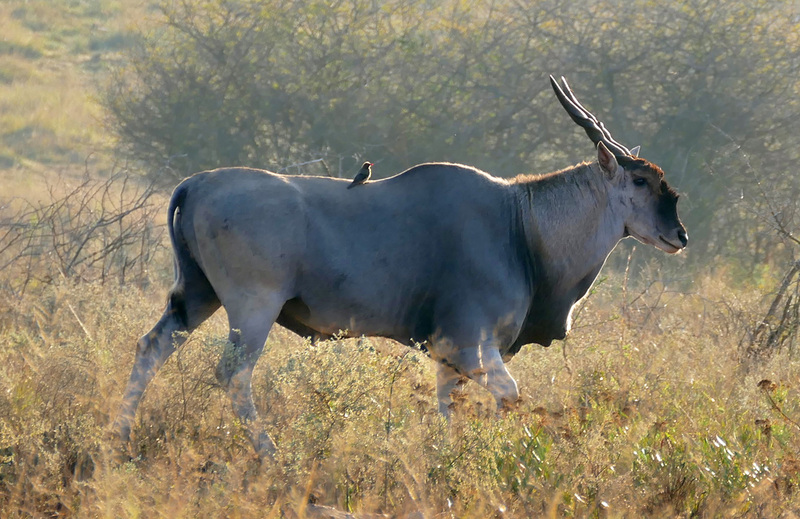 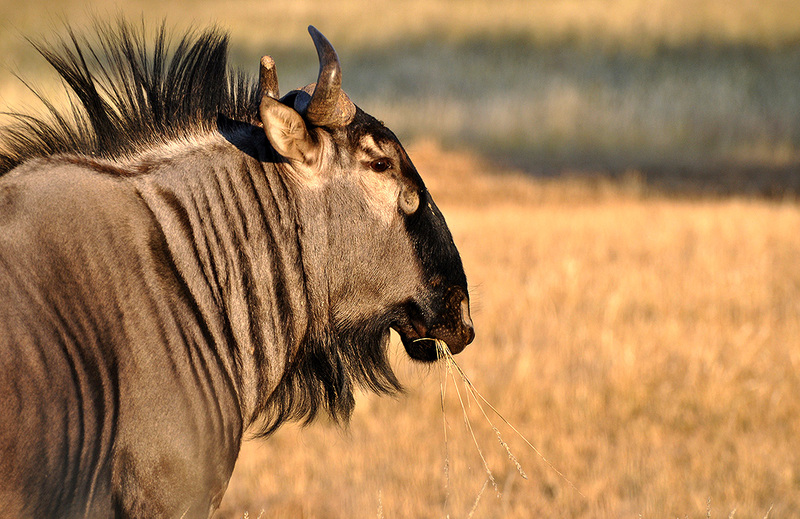 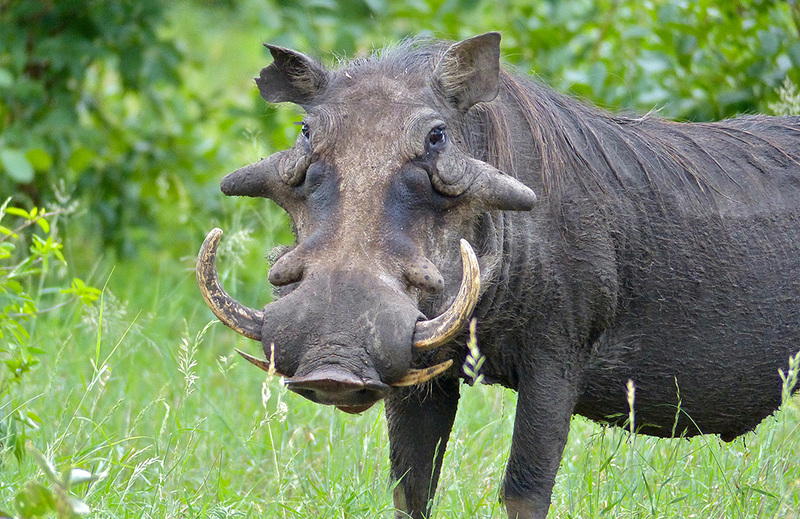 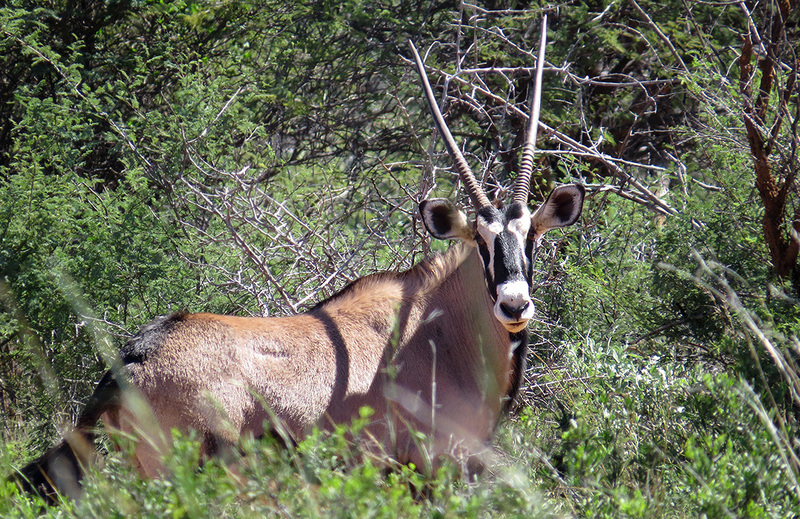 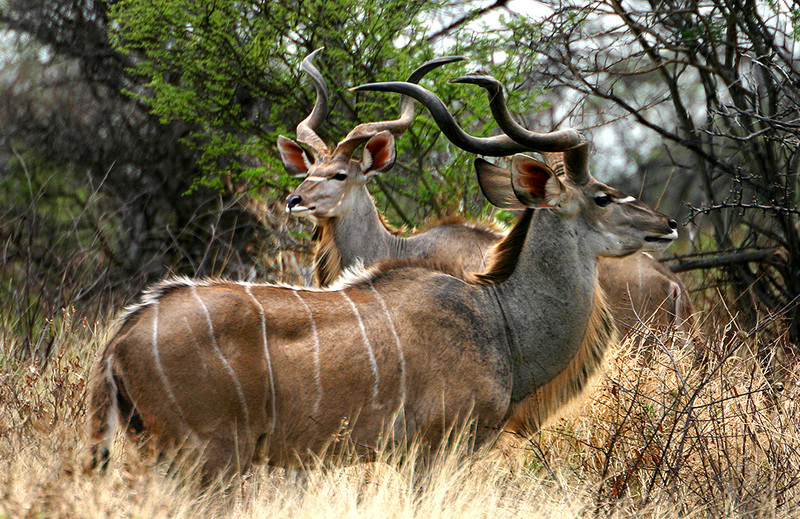 Larger males can have horns 36-48cm in length.